ARK founder and former president, Capt. 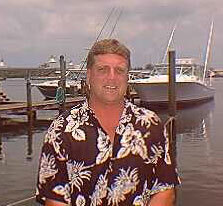 Joe Weatherby, has been planning for a major artificial reef in Key West since the early 90's. 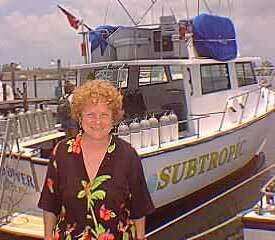 Artificial Reefs of the Keys was formed in partnership with Capt. Sheri Lohr and Jeff Dey, CEO of ARK's primary contractor, Reefmakers to make this dream a reality. Candidates for the project included vessels ranging from a battleship to an abandoned barge. With help from Mr. Andres Hark, of the US Maritime Administration (MARAD,) the field was narrowed. In 1996 the Vandenberg came to our attention, shortly after its use in a major motion picture. The size was right, the profile interesting, and it was specifically designated a "low HAZMAT" ship. Further research revealed the vessel's interesting history. Touring the ship and walking its decks, the ARK team knew we were looking at our future reef.